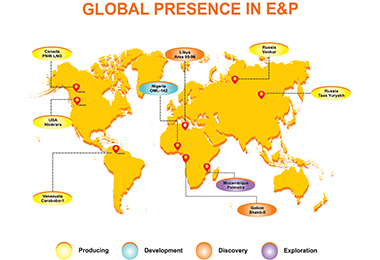 IndianOil's business development initiatives continue to be driven by the emerging opportunities and guided by its corporate vision of becoming a diversified, transnational, integrated energy company. 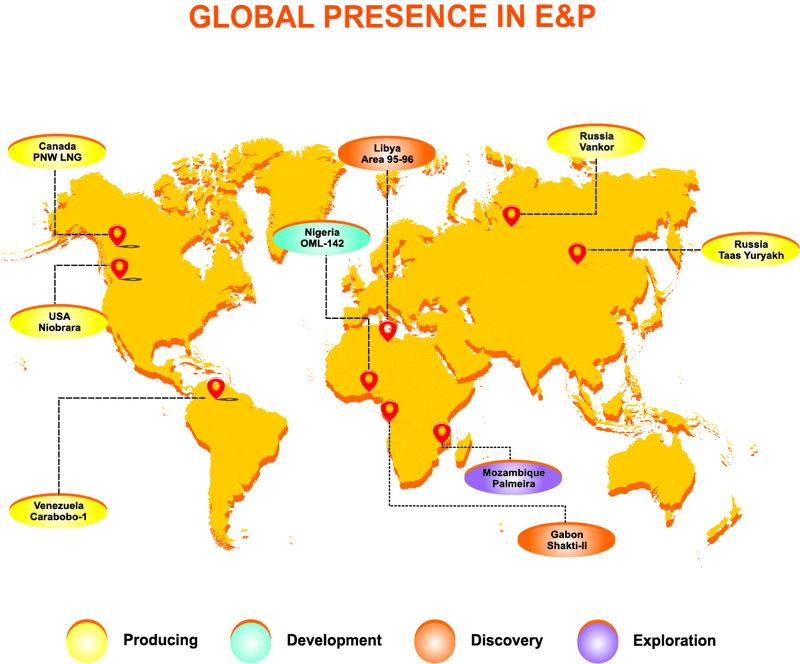 Its business strategy focuses primarily on expansion across the hydrocarbon value chain, both within and outside the country. 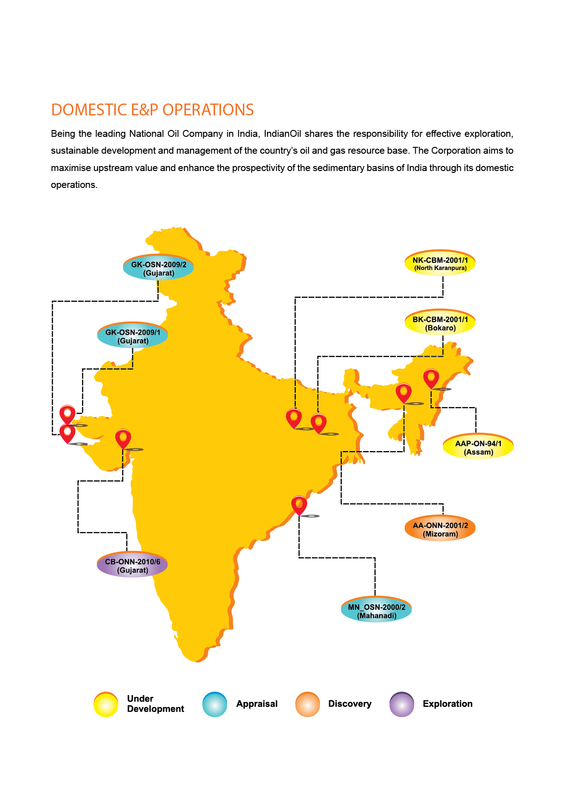 To enhance upstream integration, IndianOil has been pursuing exploration & production activities both within and outside the country in collaboration with consortium partners. 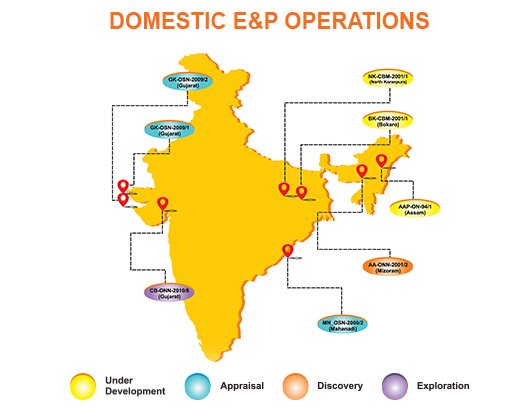 IndianOil has built a sizeable portfolio of oil & gas assets, with participating interest in 10 domestic and eight overseas blocks. The eight overseas blocks are located in USA, Canada, Venezuela, Libya, Gabon, Nigeria and Russia. An Indian consortium, with IndianOil as one of the partners, has acquired 23.9% of Vankor and 29.9% of Taas assets in Russia from Rosneft. In February 2018, an Indian consortium comprising IndianOil, ONGC Videsh and BPRL acquired a 10% stake in ADNOC's Lower Zakum Concession, Offshore Abu Dhabi. In the consortium, IndianOil owns a 30% participating stake. IndianOil has acquired 17% participating interest in the Mukhaizna oil field in Oman from Shell. IndianOil made this acquisition through its wholly owned subsidiary, IOCL Singapore Pte. Ltd. This is the Corporation's first producing upstream acquisition in Oman which will further enhance its growth in the upstream sector in the Middle East. The Mukhaizna Oil Field is the single largest producing individual oil field in Oman, contributing ~13% of total Omani crude production with current production of 1,20,000 bbl/d. It is also the largest steam flood project in the Middle East. The field is operated by Occidental Mukhaizna LLC (45%). The other partners are Oman Oil Company S.A.O.C (20%), Liwa Energy Limited (15%), Total E & P Oman (2%) and Partex (Oman) Corporation (1%). During the year 2017-18, IndianOil's hydrocarbon production increased by 66% over last last year from 1.61. MMT to 2.67 MMT from 6 producing assets such as Lower Zakum (UAE), Taas (Russia), Vankor (Russia), Niobrara Shale Oil (USA), Pacific Northwest (Canada), Carabobo (Venezuela and one domestic producing asset in Dirok (Assam, India).